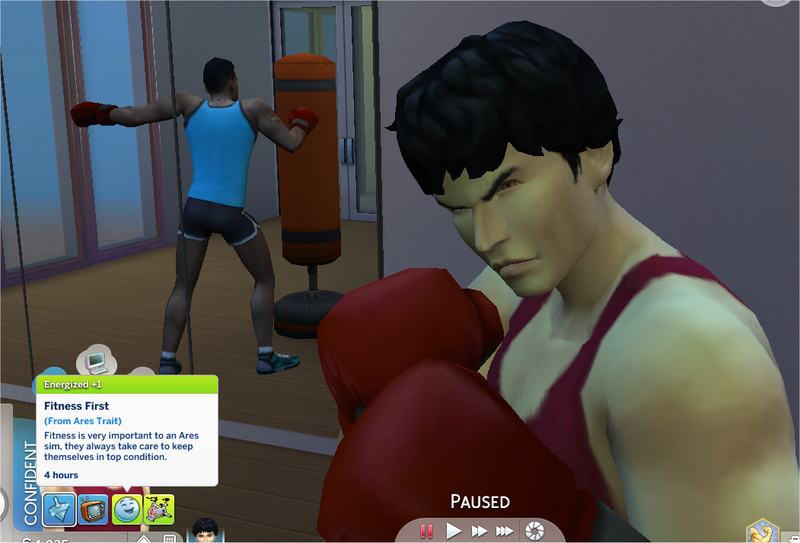 An Ares sim loves anything to do with war, from simple arguments to full on fighting. They like to keep themselves in top condition, so enjoy all active sports. 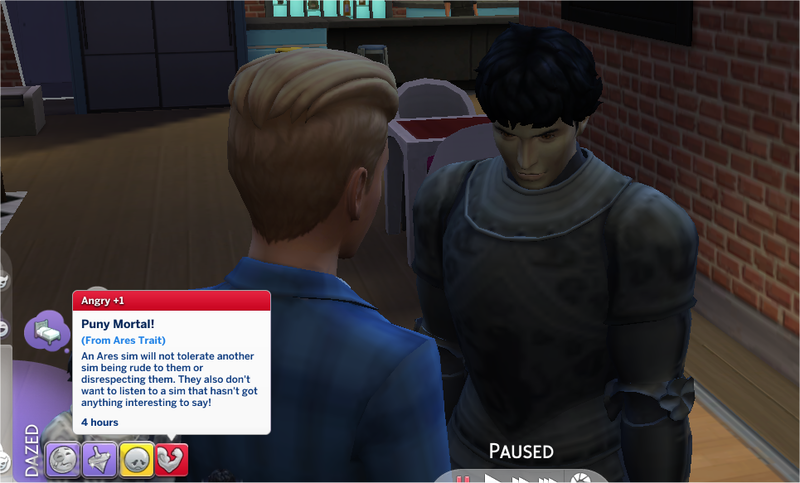 They are far more likely to use evil and mean autonomous interactions. 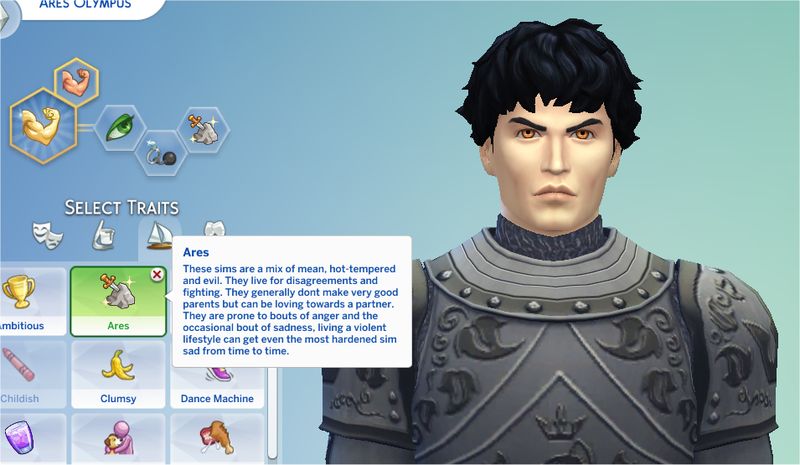 Make your sim an Ares sim, sit back and watch the drama, Ares himself was, after all, the Greek God of War! +2 Happy 4h from Victorious Deity - From winning a fight. 30% Chance +1 Confident 4h from Winning Wars! 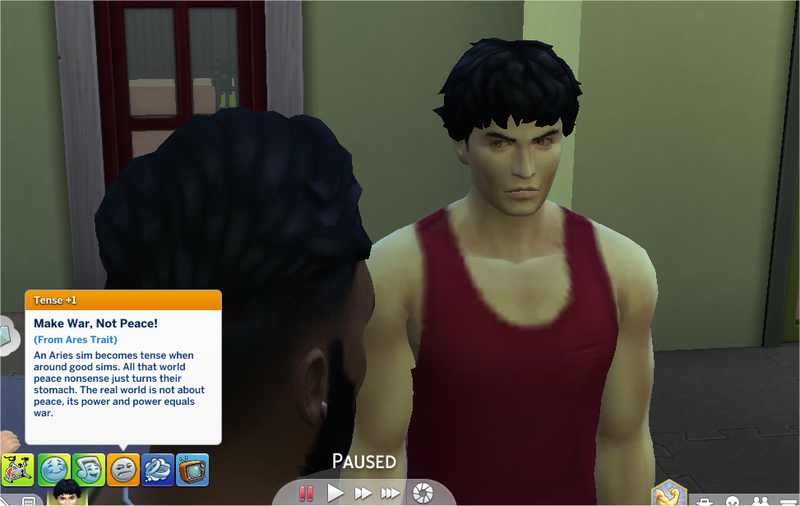 Ares sim becomes +1 Tense around sims with the Good Trait. 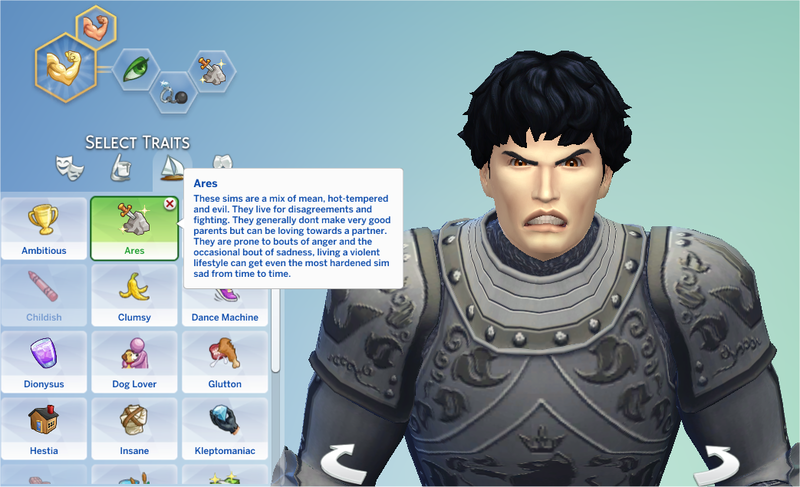 Ares sim becomes +1 Energized around sims with the Mean, Evil and HotHeaded Traits. 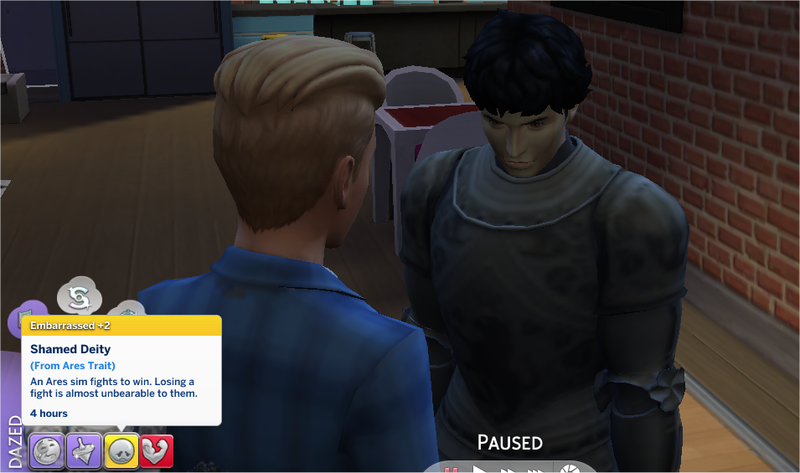 Other sims become +1 Uncomfortable around an Ares Sim from Dangerous Vibes. 129 people have said thanks to PurpleThistles for this download.